Start with a foot bath using quality Honeysuckle, sandalwood, menthol, ginseng, osthol and more than 20 different kinds of Chinese medicine (incense, anti-bacterial, anti-pruritic and give the effect of fit) followed by a lower leg and Chinese Acupressure Reflexology foot massage. The longer length of massage can help with blood circulation, help the leg and foot stay fit and provides restorative flushing of toxins. There are many benefits to hand reflexology; it is a natural form of therapy that can help the body heal by targeting specific weak points. Hand Reflexology is very effective for sinus issues, headaches, and carpal tunnel. It has even been known to help reduce back pain. Our Reflexology Special is a combination of Hands and Feet Reflexology Therapy. One-hour session includes 10 minutes of Chinese Hand Reflexology while your feet soak in a foot bath using quality Honeysuckle, sandalwood, menthol, ginseng, osthol and more than 20 different kinds of Chinese medicine (incense, anti-bacterial, anti-pruritic and give the effect of fit), followed by a lower leg and Chinese Acupressure Reflexology foot massage. The longer length of massage can help with blood circulation, help the leg and foot stay fit and provides restorative flushing of toxins. This is our most popular service. The 90 minutes session is a combination of 30 min of Chinese Hand Reflexology and 60 minutes of a lower leg and Chinese Acupressure Reflexology foot massage. And our 30 minutes session includes a lower leg and Chinese Acupressure Reflexology foot massage only. Tuina is a healing massage created in China over 2000 years ago. It is also commonly known as ‘Chinese Acupressure’ massage. Tuina is tailored to the client’s specific needs of treatment. 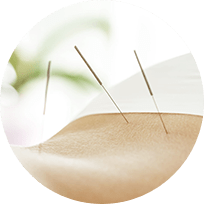 Tuina utilizes the same pressure points used in acupuncture. It is a restorative, very deep tissue massage. Therefore, only one or at most two areas should be worked on per session. Clients needing to have more areas addressed should consider Deep Tissue Massage. Tuina was designed to heal various problems like frozen shoulder, headache, and pain in most joint areas such as the neck, shoulder, low back, hip, and knee. It is very effective in reducing pain. Deep tissue massage is a type of massage aimed at the deeper tissue structures of the muscle and fascia, also called connective tissue. Deep tissue massage uses many of the same movements and techniques as Swedish massage, but the pressure will generally be more intense. It is also a more focused type of massage, as the therapist works to release chronic muscle tension or knots (also known as “adhesions.”) It shouldn’t hurt, but it’s likely to be a bit more uncomfortable than a classic Swedish massage. Designed for very active athletes. This helps them prepare their bodies for training, give their peak performance and recover after a big event. Don’t fool yourself into thinking it is only for athletes. Sports Massage can be very good for people with injuries, chronic pain or reduced range of motion. The same techniques designed to help star athletes can help any normal person with their issues. Stepping an incredible exotic style massage that really gets very therapeutic results. The therapist will use their feet to perform similar techniques used in Tuina. They don’t actually walk on your back with their weight, but holds them self with bars located on the ceiling. This allows them to control the pressure you will get with the session. It is amazing just how talented they are with their feet. A relaxing massage of the entire body with long gliding strokes in the direction of blood returning to the heart, circular pressure applied by the hands and palms, firm kneading, percussion-like tapping, bending and stretching. Lotion is used to reduce friction and stimulate the skin. Swedish massage is exceptional for increasing the level of oxygen in the blood, decreasing muscle toxins, improving circulation and flexibility while easing tension. Swedish massage is mainly used for relaxation and stress reduction. Qi Gong is a lighter version of Tuina therefore has a few minor therapeutic effects. The Chinese use various forms of naturopathic therapies. Together they form what is referred to as Traditional Chinese Medicine (TCM) or alternative medicine. Each therapy in TCM is used in conjunction with the other therapies to provide full complete healing of the body. Acupuncture is a key component of TCM. It uses thin needles inserted into the body. The needles are inserted into trigger points by using a map of the body (see inside of pamphlet). This mapping of the body shows the various areas affected by each trigger point. These trigger points are an integral part of several forms of TCM therapies like Tui na and Reflexology. Traditional Chinese Medicine is based upon the body having an energy flow called Qi (chee). The proper flow of Qi keeps the body energized and healthy. A healthy body has a constant flow of Qi. The Qi will become blocked when an area of the body becomes unhealthy or has a medical condition. The needles are inserted into selected trigger points based on the area being treated for pain or the symptom of the patient. Different points are used to treat different medical disorders. Moxibustion is a form of heat therapy in which dried plant materials called “moxa” are burned on or very near the surface of the skin. The intention is to warm and invigorate the flow of Qi in the body and dispel certain pathogenic influences. Moxa is usually made from the dried leafy material of Chinese mugwort (Artemesia argyi or A.vlugaris), but it can be made of other substances as well. In the U.S., practitioners generally hold a burning moxa stick close to, but not touching, the surface of the skin. In this method, the moxa material is compressed into a stick or pole, looking not unlike an oversized cigar that can be lit and allowed to smolder, producing a unique form of very penetrating heat. The smoldering moxa stick is held over specific areas, often, though not always, corresponding to certain acupuncture points. The glowing end of the moxa stick is held about an inch or two above the surface of the skin until the area reddens and becomes suffused with warmth. 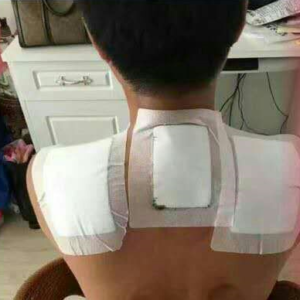 It is not uncommon for patients receiving moxibustion to report sudden flooding of warmth that quickly radiates along a specific pathway (usually corresponding with the jing luo channel that is being treated) away from the site of application. This is a good result, as it indicates the arrival of the Qi and signals that the flow of Qi and xue has been freed from the channel. In Chinese Medicine, custom-tailored herb formulas typically include between 2-18 herbs and are formulated to bring each person back into a balanced, well-being. Custom herbal formulas treat a wide range of conditions including chronic digestive issues, anxiety & mood disorders, women’s health issues (urinary infections, irregular periods, painful periods, infertility, etc. ), men’s health issues, sleep disorders, acute and chronic pain and much more. Cupping and GuaSha are deep Myofascial Release Techniques. Chinese cupping therapy is a centuries-old technique which is intended to increase blood flow to promote healing and relaxation. Cupping is used on broad surfaces like the back and GuaSha is useful for curved surfaces like the feet. Relief with cupping and Gua Sha is usually immediate. These services are added to a massage session like Tuina or Deep Tissue. This helps to get the full therapeutic effect. Cupping produces red marks, almost like a bruise. The marks left are part of the healing process and will disappear in 3 – 7 days. Celebrities like Jennifer Aniston, Gwyneth Paltrow, David Arquette and Jessica Simpson are fans of cupping. Jennifer has been known to show cupping marks at red carpet events. In this treatment, it’s all about face time! We cleanse, exfoliate, provide acupressure massage, and a mask. We then moisten the skin and dilute any wrinkles; this massage is done on the head, face, lower neck, shoulders, and hands. It is designed to eliminate fatigue and give you the feeling of youthful vigor. Chinese ladies have been using this treatment for thousands of years to keep their youthful look. Our many years of healing allows us to set you on the right path to health, quickly. Bio Foot Reflexology and Massage Center in Beaverton, Oregon offers facials, cupping (GuaSha), hand and foot reflexology, Tuina massage, deep tissue massage, sports therapy, acupuncture and other wellness services. We serve clients from throughout the Portland region including Tigard, Hillsboro, Farmington, Hazeldale, Scholls, Laurel, King City, Milwaukie, Lake Oswego and Durham, Oregon.